High CPU utilization by PDPD daemon. If the "Assume that only one user is connected per computer" option is selected, certain servers (such as Exchange servers, or Citrix servers) may overload the PDPD daemon with associations from multiple IP addresses. Events from such servers do not provide significant identity information. 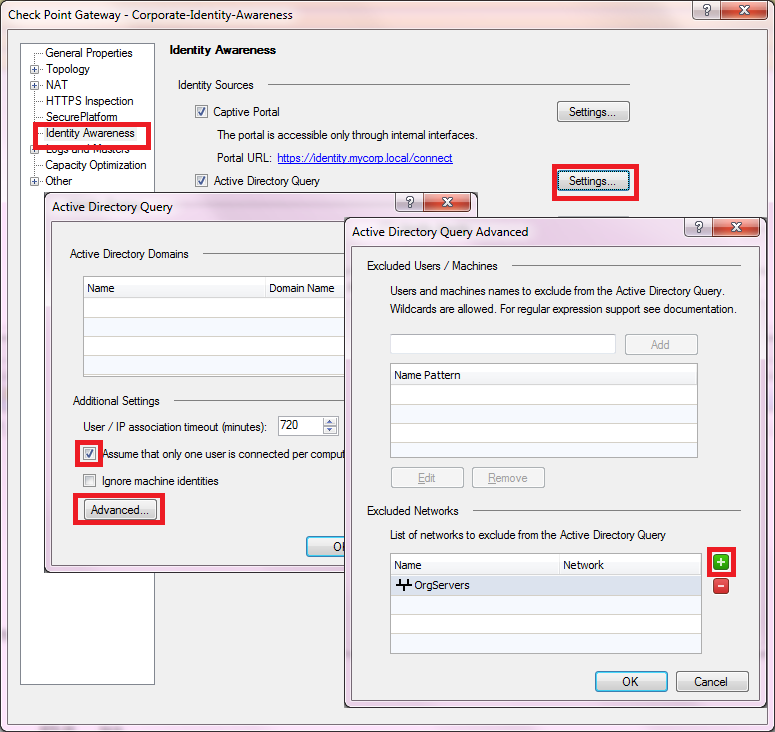 It is important to note that when the "Assume that only one user is connected per computer" option is unchecked, if more than 7 (by default) users are associated to a single IP address, the address is considered a "multi user host" and is automatically excluded from ADQuery. In case this option is checked, this automatic exclusion is not performed. For further information refer to sk60301 (Identity Awareness AD Query). 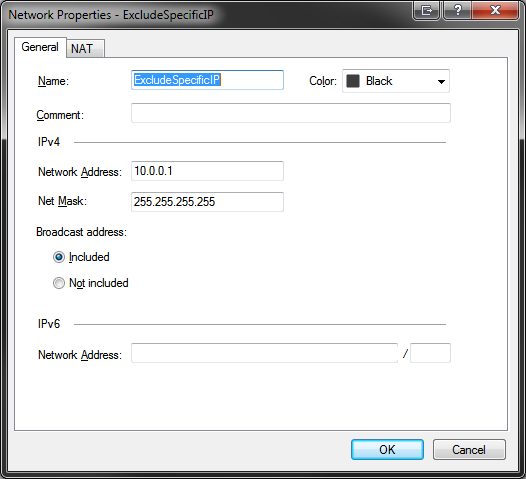 In the Active Directory Query window press "Advanced", and add either the Machine names to the excluded Users/Machines list, or the IP addresses to the excluded networks list.